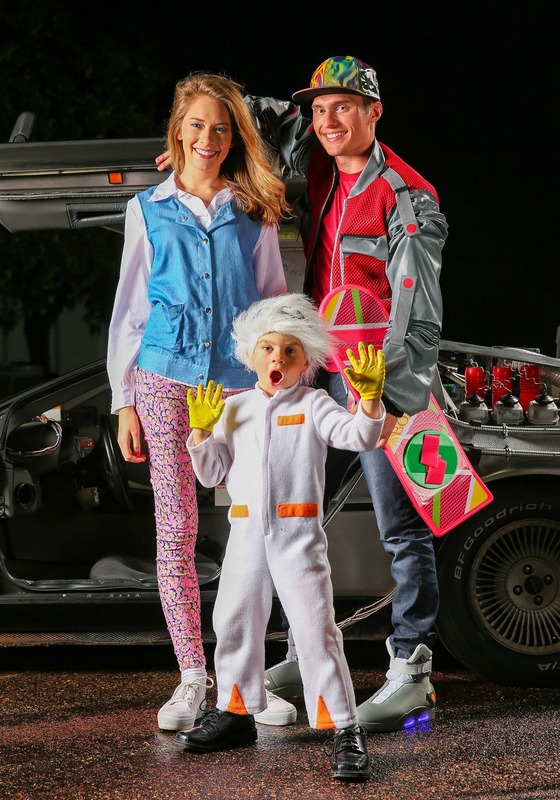 Your child will be decked out in 1985 style when he wears this Back to the Future Doc Brown costume for toddlers. The jumpsuit is an all polyester material with an easy Velcro close front. 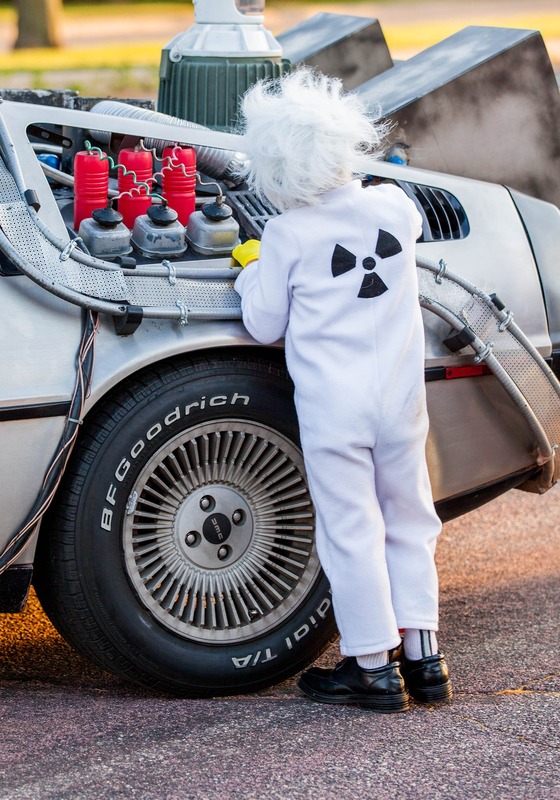 A radioactive logo graphic on the back, and some orange reflector strip details make it look just like Doc's from the film. 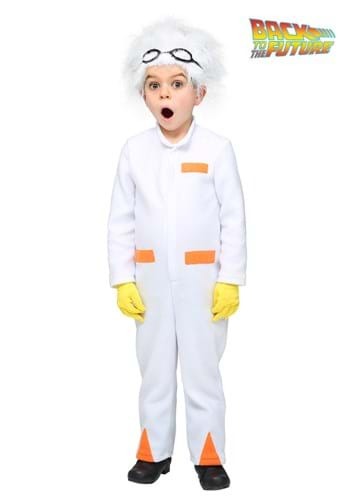 The radioactive logo gloves, a pair of goggles, and the manic white wig are included to finish the look to transform your tot into a tiny version of Christoper Lloyd's character. 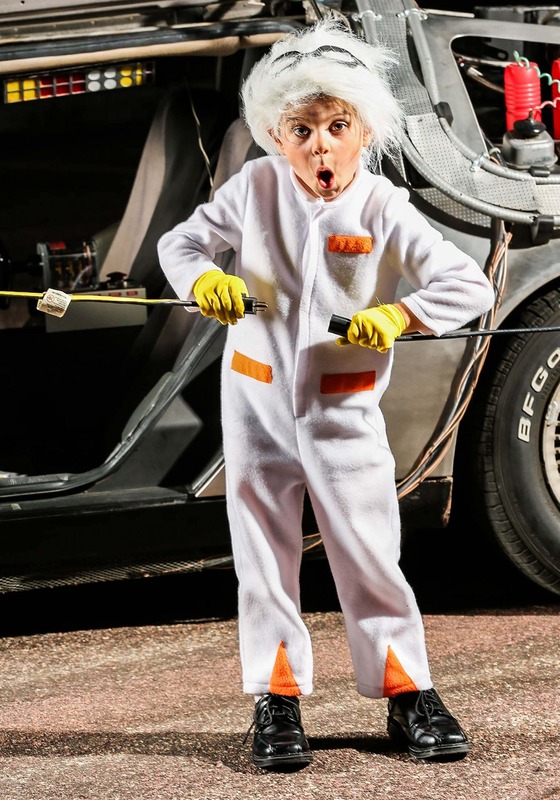 With this exclusive look, your toddler will be ready to fire up those time circuits!